Nutritionist Michael Joseph publishes the Nutrition Advance website in the US which provides independent, evidence-based nutrition and health information backed by peer-reviewed studies as evidence. Here he takes a closer look at the health benefits of beef. A generation or two ago, our parents and grandparents viewed beef as a nutritious health food. But now? These days it’s much different, and opinion is split between whether beef is healthful or harms our health. Some of the more extreme vegan views even call for the authorities to remove meat from the food supply. Whatever our opinion on red meat might be, there are some important health benefits of eating beef. This article takes a close look at 11 of them. L-carnitine is an amino acid that occurs naturally in meat products. Among other functions, L-carnitine plays a part in fat metabolism. 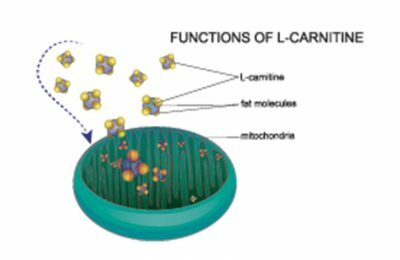 As part of this, L-Carnitine does the job of transporting fats into our mitochondria for burning. It’s important to clarify that our body can synthesize sufficient amounts of L-carnitine for general needs; this makes it a non-essential amino acid. The body synthesizes L-Carnitine within the liver and the process relies on the amino acids L-lysine and L-methionine (2). As a result, deficiencies are rare. However, research suggests that a higher dietary intake of L-Carnitine may have some positive health impacts. A meta-analysis of randomized trials suggests that L-carnitine improves patient outcomes. Specifically, it exerts an effect on hypertension, oxidative stress, nitric oxide, and inflammation. A further systematic review found that L-carnitine is associated with a 27% reduction in all-cause mortality in heart failure patients (3, 4). A systematic review shows that higher L-carnitine intake in type 2 diabetes patients improves fasting glucose levels and the overall cholesterol profile (5). According to a systematic review and meta-analysis of nine randomized controlled trials, subjects using L-carnitine supplementation lost “significantly more weight” than the control group (6). 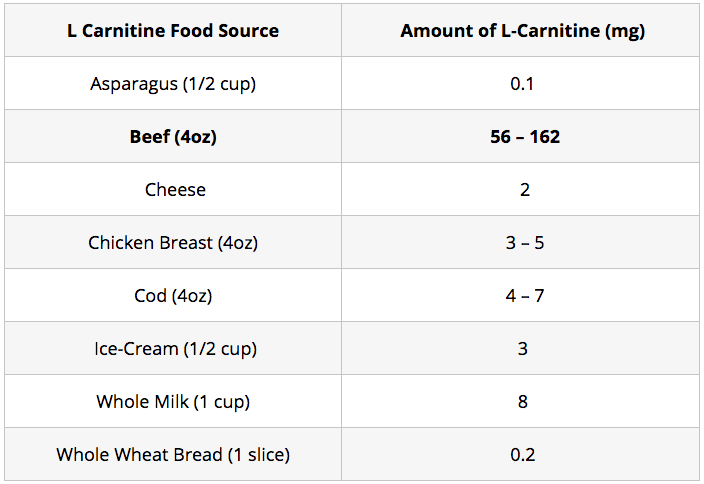 It’s worth noting that while there are many L-carnitine supplements around, the absorption rate is poor in comparison to beef. In fact, our body only absorbs around 14-18% of the synthetic form of the nutrient (7). Key Point: L-carnitine is an amino acid that naturally occurs in beef. It has a positive impact on various health markers. It helps protect every cell in our body from cellular damage, which can lead to many chronic diseases. On the other hand, a deficiency in glutathione contributes to oxidative stress and inflammation (9). 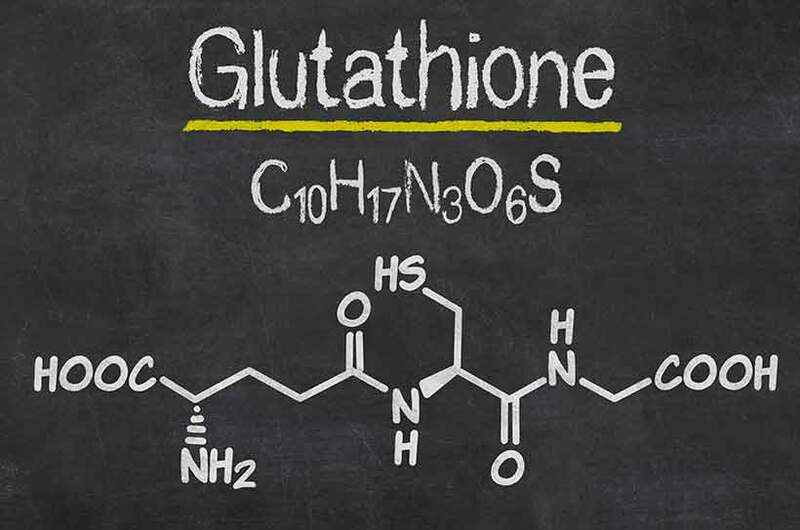 As a result, keeping glutathione levels high is important for our overall health. First of all, our body produces glutathione endogenously. 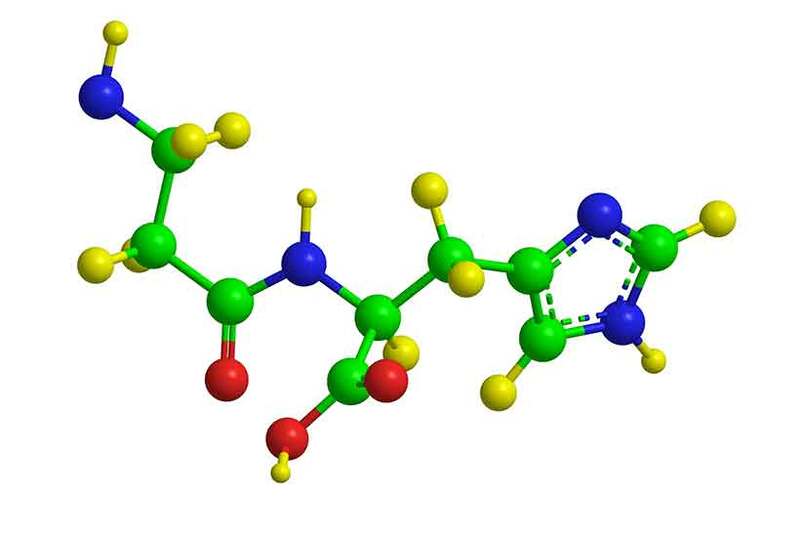 In other words, our body uses raw materials (in this case: amino acids) to make glutathione. For this process to occur, we should have adequate levels of the amino acids cysteine, glutamate, and glycine (10). These amino acids are known as glutathione precursors, and each of these amino acids is present in beef. On the positive side, beef also contains a reasonably high source of complete (pre-formed) dietary glutathione. Key Point: Keeping our glutathione levels high is critical for good health, and beef is a food that helps us to achieve this. Glutathione detoxes our body better than any ‘detox plan’ or supplement can. Protein is the building block our body uses to repair and make bone, skin, and cartilage. Sufficient protein helps us to build and maintain lean muscle mass. Out of all macronutrients, protein is the most satiating, and it discourages food cravings. Beef is packed with health-promoting amino acids, and it’s one of the single biggest sources of protein in the human diet. 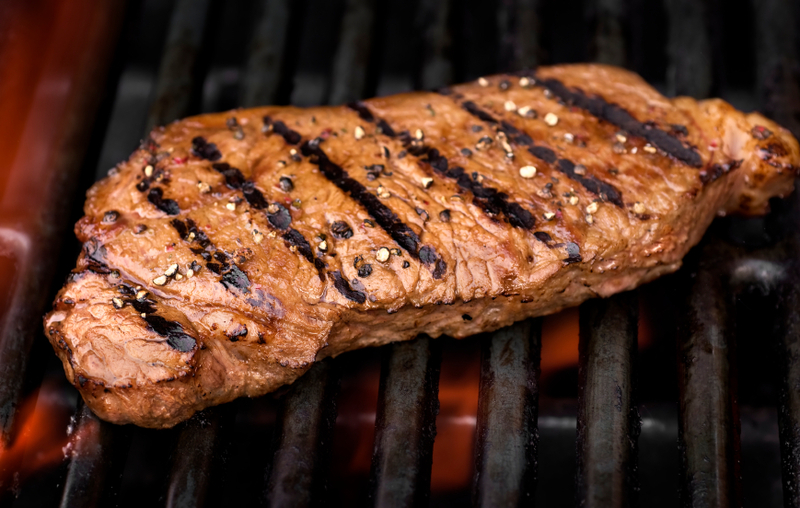 For instance, a 6oz (170g) portion of 80% lean beef provides 46g protein. Should we opt for a leaner variety of beef, the protein content can be even higher (11). As we age, building—or at least holding on to—lean mass should be a priority. Research shows that older adults with lower muscle mass are at a higher risk of mortality. Speaking bluntly, the more skeletal muscle mass someone loses as they age, the higher their risk of an earlier death (12). Also, the rate of muscle protein synthesis rapidly drops as we age, making it a lot harder to build and maintain muscle (13). Considering this, we should ensure we’re eating a sufficient amount of protein – this is especially essential for elderly people. On this note, beef is one of the best protein-rich foods out there. Key Point: Protein is essential for optimal health, and especially so as we age. Beef provides an abundant amount of this macronutrient. If you’re looking to increase your intake of various minerals, then beef is one of the best options to consider. First of all, beef is relatively nutrient-dense in minerals. 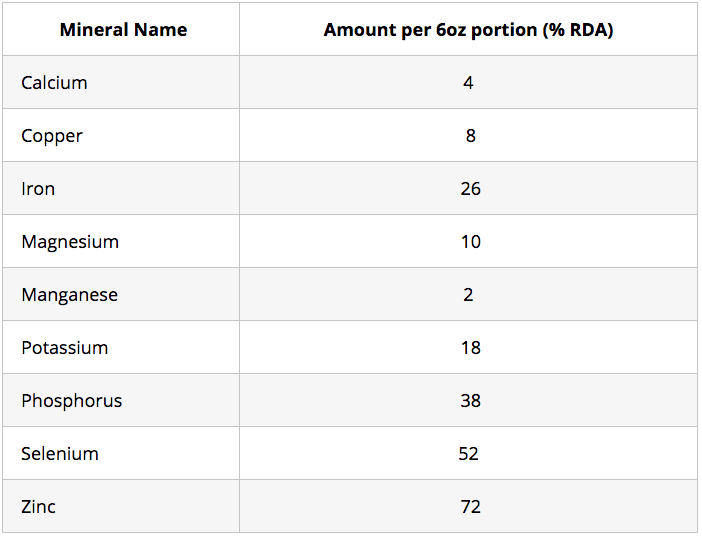 As shown in the table, beef provides more than half of the day’s recommended amount of selenium and zinc. Many people have deficiency issues with some of these minerals. So, the nutritional value of beef can help fight prevalent global deficiencies in iron, magnesium, and zinc (14, 15, 16). Key Point: Beef is rich in several essential minerals—especially iron, phosphorus, selenium, and zinc. We touched on mineral deficiencies in the last point, but iron deficiency anemia deserves a mention of its own. Sadly, iron deficiency anemia is a growing epidemic around the world. In a developed country such as the United States, nutrient deficiencies shouldn’t be a cause of death, yet anemia kills thousands every year. To be exact, the latest release of statistics showed that Anemia hospitalized 146,000 Americans in one year. 5,219 of these people died (17). Globally it’s even worse, and according to the World Health Organization, 1.62 billion people suffer from iron deficiency anemia (18). There are two types of iron available in food, and we refer to them as heme and non-heme iron. Heme Iron: Heme iron is the most bioavailable form of iron, and meat and other animal foods exclusively contain it. Non-Heme Iron: Non-heme iron is found in plant foods such as fruit, vegetables, and nuts. In comparison to heme iron, our body finds it more difficult to absorb. One of the best health benefits of beef meat is that it contains a substantial amount of heme iron. The best source of all? Beef liver. 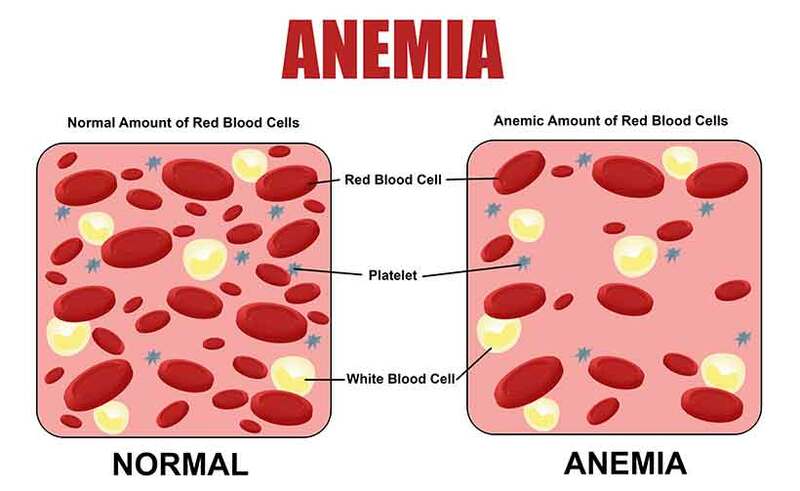 Interestingly, anemia disproportionately affects females. Perhaps this isn’t a huge surprise when we think about how society seems to shame women who eat meat. The imagery of women smiling while eating a bowl of salad is quite ubiquitous. Key Point: Eat more beef to help prevent iron deficiency anemia. Another advantage of eating beef is that it provides an abundance of carnosine. Carnosine (beta-analyl-L-histidine) is an amino acid found throughout the body, and it has several important roles in human health. As beef is one of the highest sources of carnosine (containing about 50% more than poultry), this is another health benefit. For one thing, carnosine has anti-glycosylation properties. To be exact, carnosine reduces the harms of a process called ‘glycation’ which involves advanced glycation end-products (AGES). Glycation is central to the aging process and progressively damages our body, potentially leading to atherosclerosis and various other chronic diseases (19, 20). Additionally, carnosine helps boost the immune system and reduce inflammation. The amino acid is also thought to help prevent lipid peroxidation within our cells (21, 22). Key Point: Beef (and red meat in general) is the best dietary source of carnosine. Additionally, beef also contains smaller amounts of vitamins E and K.
Vitamin B12 (cobalamin) is a notably essential nutrient, and this is because it is only available from animal foods. This vitamin also has a wealth of benefits that include skin improvements, positive mood, better sleep, and neural regeneration (23, 24). 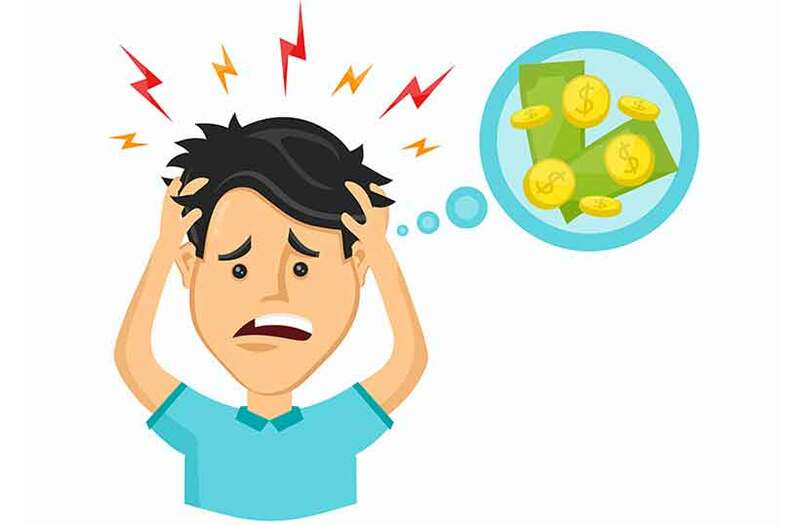 It’s important to realize that insufficient vitamin B12 may also increase the risk of depression and mental health issues (25, 26). Fortunately, a 6oz serving of beef provides almost 100% of the recommended amount of B12. Those most at risk from B12 deficiency are vegetarians/vegans, and these groups should supplement with the vitamin. Key Point: Beef is high in B vitamins which help promote health. Vitamin B12 is particularly important since it isn’t present in plant-based foods. Otherwise known as CLA, conjugated linoleic acid is a naturally occurring trans-fat. Don’t worry, although the “trans-fat” name is a little scary, it has a very different effect to the synthetic version. Notably, the bulk of the evidence suggests that getting CLA from real food is better than supplementation (33). As is usually the case, perhaps nutrients in whole foods have a different effect to a synthetic pill? The top sources of CLA include meat and dairy products. After lamb and certain cheeses, beef is the next highest provider of the nutrient. Although all beef contains CLA, grass-fed meat offers a significantly higher amount than beef from non-ruminants. Specifically, the average amount of CLA in grass-fed beef is 0.46% of the fat content. With grain-fed beef, this average content drops to 0.16% of fat (34). Key Point: Beef—especially from grass-fed cows—is one of the highest sources of conjugated linoleic acid. Almost everyone knows the dietary supplement version of creatine, but did you know that beef contains it too? In fact, beef typically contains 350mg creatine per 100g (35). It’s also worth noting that our liver can produce about 2g creatine per day, depending on the pre-cursors being available. 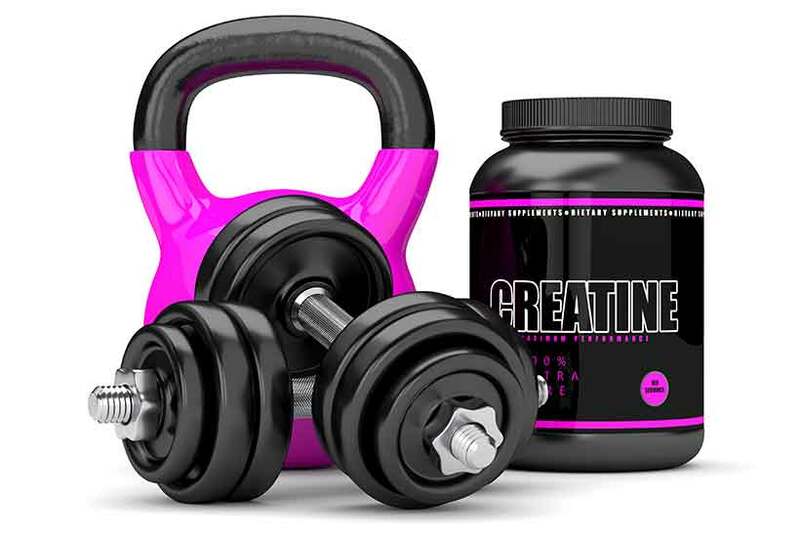 Creatine precursors include arginine, glycine, and methionine (36). Not only are all of these amino acids present in beef, but beef is one of the single most significant dietary sources for them. In other words, eating beef gives you a decent amount of dietary creatine, and it helps your body to produce it too. Key Point: Beef has two positive impacts on creatine levels. Firstly, it directly provides it to the body and secondly, it helps the body to make it. We may hear how beef is so much more expensive than vegetables and other plant-based foods. For some reason, these claims often compare broccoli to beef. However, these calculations are a little disingenuous. Yes, broccoli is indeed a lot cheaper than beef per 100g. But just how much energy does 100g provide? 200g of beef will typically provide around 550 calories, but 200g of broccoli only contains 70 calories (11, 37). This means that per 100g, beef contains eight times the amount of energy than broccoli. It is therefore apparent: per calorie, beef is substantially cheaper than broccoli – and probably every vegetable. Key Point: Per calorie, beef is a very affordable food – it’s cheaper than vegetables. This one isn’t a health benefit as such, but it could be if it encourages more home cooking. Beef is a straightforward food to cook. It requires no lengthy recipe or complex preparation procedures. Add a little salt, put it in the oven, and wait until done. In an age where people claim not to have time to cook, a traditional dinner of beef and veggies is very simple and time-efficient. Key Point: Beef requires minimal preparation, and it’s quick and simple to cook. Beef contains dozens of health-promoting nutrients that we need in our diet. Sure, there are other foods which offer some of the same positives, but not in the same amount. Overall, it is one of the most nutrient-dense foods in the human diet. Bottom line: there are many health benefits of eating beef. Looking into grass-fed beef I was able to find that omega 3’s are so minimal it is almost not statistically significant to categorize it as such. Salmon, is by far the best source of getting omega 3’s. Some of the most successful MLA marketing has been health based. Grassfed beef has been a sleeping giant and the message it has for consumers is powerful. I am sure that grassfed beef has one of the highest levels of omega 3’s of any food including salmon, we all know the health benefits of this.